Simon Ngalomba is a lecturer in the Department of Educational Foundations, Management and Life Long Learning (EFMLL), School of Education, University of Dar es Salaam, Tanzania. 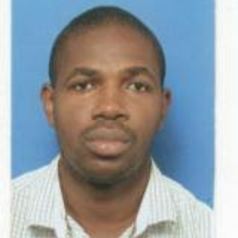 Ngalomba’s research interest is in the field of human rights, quality assurance in education, entrepreneurship education as well as the internationalization of education, specifically in higher education, which he has presented several academic papers in international conferences and also published in peer-reviewed academic journals. He has been engaged in a number research projects, including, a research on Implementing Education Quality in Low Income Countries (EdQual) funded by DfID (UK) and research on Internationalization of Higher Education and the changing leadership roles of Deans in African Universities funded by Council for the Development of Social Science Research in Africa (CODESRIA). Ngalomba teaches Human Resource Development in Educational Organizations, School Governance and Economics of Education. He is an active member of the African Network for Internationalization of Education (ANIE) and East African Quality Assurance Network (EAQAN).